I used to be a die hard Body-con fan but for many reasons (weight gain, over saturation etc) I’ve weened myself off. 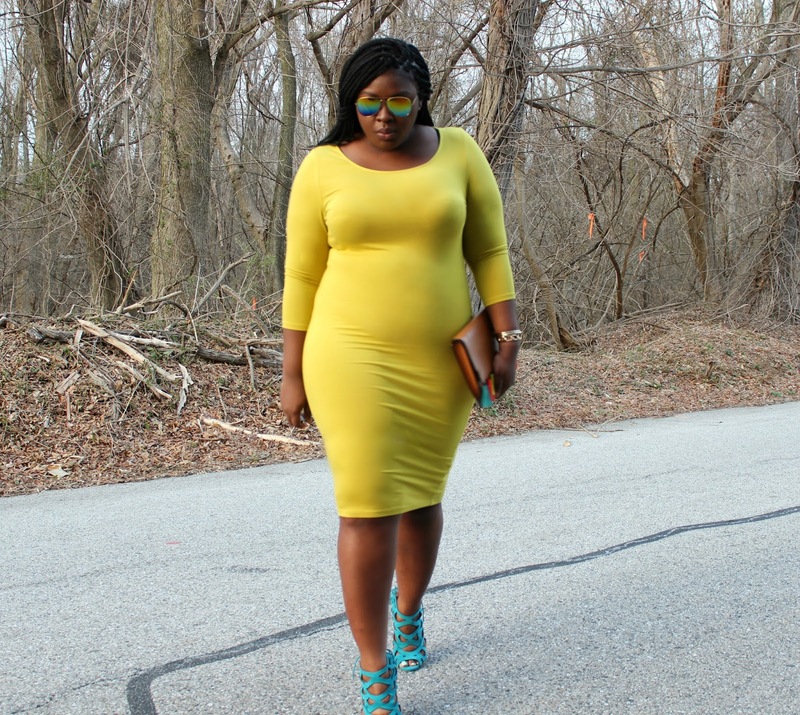 However when I saw this citrus colored Body-con ( also wore Here) I knew I needed it. 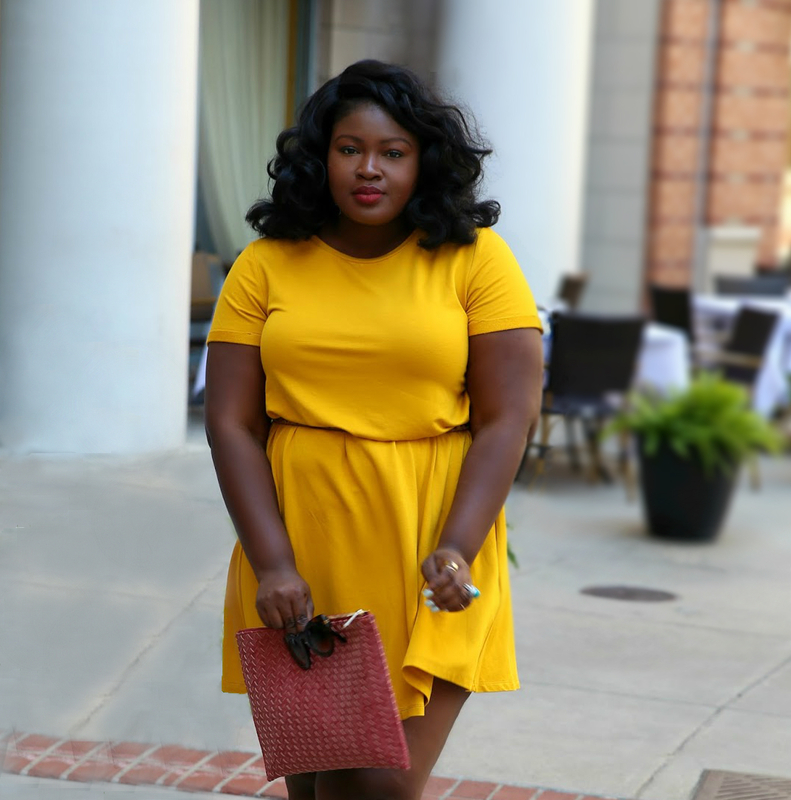 Those of you who have been following the blog for some time know I have a thing for this citrus color and actually it was the missing piece in a look that I wanted to recreate . Speaking of weight, wearing Body-cons can be tricky when you carry weight in certain places body cons typically only favor women with hourglass shapes. For the rest of us here are 3 Tips to get the right “fit”. Finally fit matters, size up if you must when buying body-con dresses; the last thing you want is the look of stretched spandex that tends to dig in un-flatteringly. This particular Dress is from Fashion to Figure c/o and its made of a medium weight jersey could be thicker but not bad. I got it in a 2 (I am a size 16/18) it hits me right below the knee I am 5″7 and also comes in several colors. I paired it with a spring pick (see more picks & enter Giveaway Here) the Tassel Clutch and continued the color POP theme (inspired by the tropical vacations on my Instagram feed) with Teal sandals. How important is fit to you? 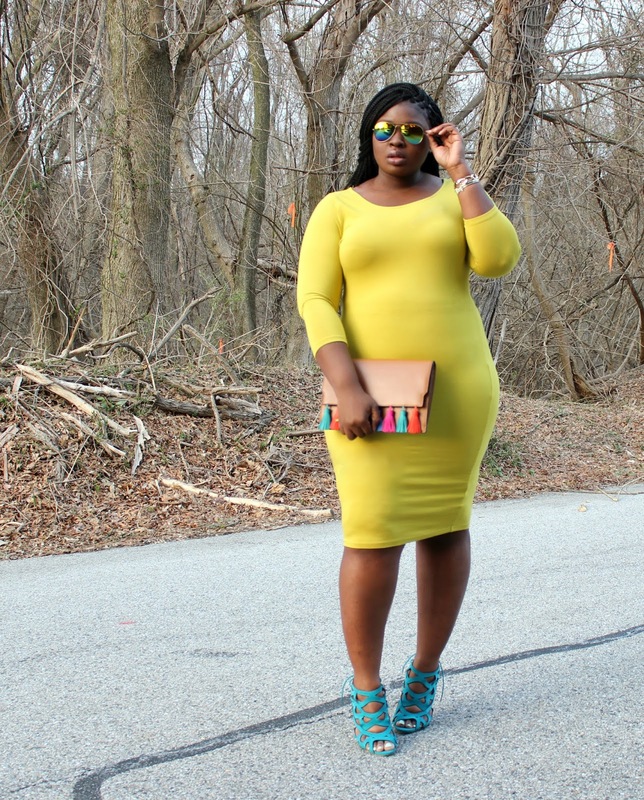 Do you wear body con styles? Care to share any “right fit” tips Comment below.